Colon polyps alone are unlikely to result in any pain or discomfort. However, colon cancer may result from the presence of colon polyps that are not removed. A gastroenterologist may be able to test stools for blood or use internal imaging to detect colon polyps, but they are rarely symptomatic when colon cancer has not developed. It is important to have colon polyps removed before cancerous cells are able to form. Once you begin to experience symptoms, it is likely that colon cancer has already developed and is at an advanced stage. Dr. Yamini recommends undergoing regular screenings for colon polyps, so you can receive treatment at our offices when needed. 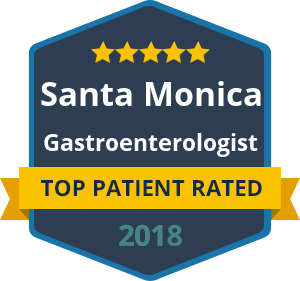 If you have concerns about colon cancer or other gastrointestinal conditions, Dr. Yamini is an accomplished gastroenterologist with two offices in California. There is no greater comfort than knowing you have a head start on the potential development of any kind of cancer, but especially those which are largely without symptoms. Patients will not usually experience signs or symptoms of colon polyps, other than blood in the stools in rare cases. However, signs of advanced colon cancer indicate the presence of polyps. Symptoms to look for may include fatigue, bloody stools, changes in bowel movements and abdominal pain. If you experience any of these symptoms, Dr. Yamini wants to hear from you right away. We can discuss any symptoms you may be experiencing or arrange a screening for colon polyps. It is our aim to help prevent serious conditions such as colon cancer from developing through screening and the removal of polyps in and around the colon. Contact the offices of Dr. Yamini today if you have concerns about colon cancer and would like to arrange regular screenings with a gastroenterologist.